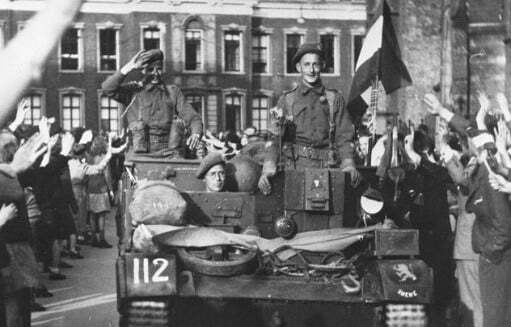 We are proud to launch the ‘Netherlands 2020′, the latest in our series of battlefield study tours, to commemorate the legacy of our C&E Branch predecessors during the liberation of The Netherlands. Signallers ‘got comms thru’ as Canadians fought over the Channel, on the coast of France & Belgium, and dykes of the Netherlands. 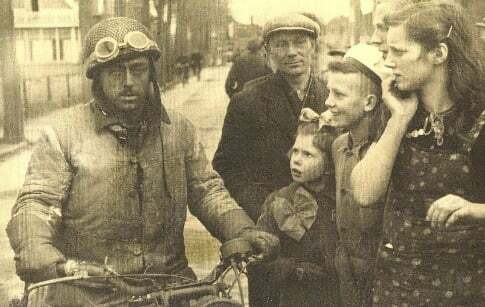 We helped liberate the Dutch and rebuild their lives. Canadian signalmen connected the enemy to General Foulkes for the surrender. This battlefield study is a look at our profession and a review of lessons from the past. However, the true value is the pride instilled in our people, in the uniform they wear, and the camaraderie created by bringing veterans and serving Branch members together: through their common history. This tour program is superb: The main tour (30 Apr-9 May) sees us arriving in Amsterdam then proceeding to Arnhem, Nijmegan, Amersfoort, Wageningen (the surrender site), Achterveld, Groesbeek, Holten, Hochwald and back to Amsterdam. We will visit the Canadian War Cemetery in Groesbeek, attend a Canadian memorial ceremony at Holten Canadian War Cemetery and the Dutch National Liberation Day Ceremonies in Wageningen. We will review the conduct of Operation VERITABLE and Operation BLOCKBUSTER, visit the site of 1st Canadian Army headquarters to review command and control challenges of the day, and consider some other challenges experienced during the Rhine Crossing. A supplemental tour (26 Apr-1 May) of the Channel Ports and the Scheldt is an optional addition to the main package. This tour supplement sees us arriving in Paris then proceeding to Boulognes-sur-Mer, Calais, Leopold Canal, Adegem and on to the Scheldt, before linking up with the main tour in Arnhem on 1 May. Everyone has the opportunity to research the campaign and ‘communications stories’ through interaction with professional historians and colleagues, with readings and pre-tour presentations. Our allies may join us, Royal Signals in Arnhem and Dutch Signals at their Museum in Amersfoort, as well as our C&E colleagues in Europe. Click here to download, print and complete the registration form (which must be forwarded to Merit Travel with deposit payment).